After the tragedy at Sandy Hook, CT in Dec 2012, and a post on Facebook telling how Mr. Fred Rogers was told to “always look for the helpers in tragic times,” I was blessed with an idea for a beaded bracelet that helps the wearer count 12 kind acts a day. I began selling Kindness Bracelet, the original and decided to donate all profits to families in need and local causes. 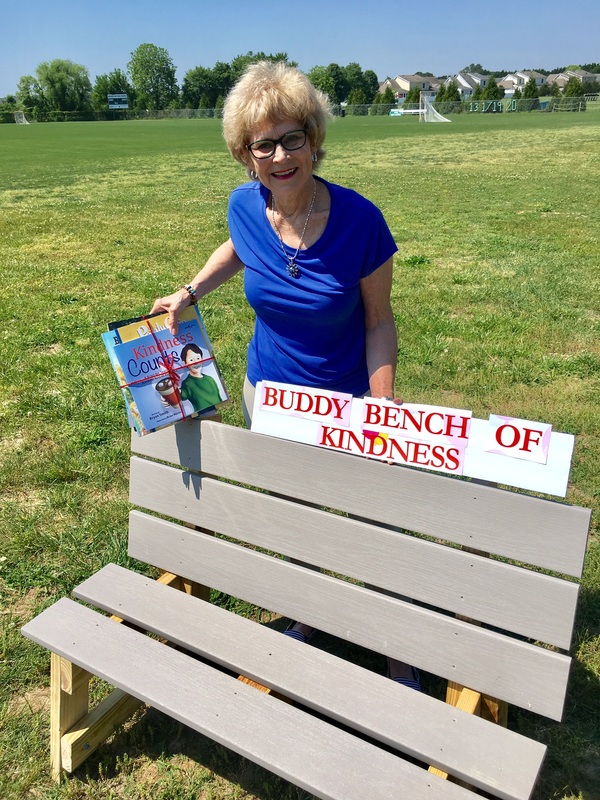 As a retired educator, I wanted to continue to give back to our schools so I arranged for our Career Tech students to build Buddy Benches for our 17 elementary schools in Wicomico County. Kindness Bracelet sales bought the materials. The benches were a project started in this country by a then second grader from Pennsylvania. They are a place for students without a playmate to sit and all students know to go and ask, “Would you like to play with me?” The benches address isolation and loneliness for children at recess. As of summer 2018, all the benches are in place. Each was accompanied by a selection of books about kindness for teachers to read to students. I’m grateful to my community for its support. We support kindness in a big way and I’m humbled by this journey. It’s a full time joy!